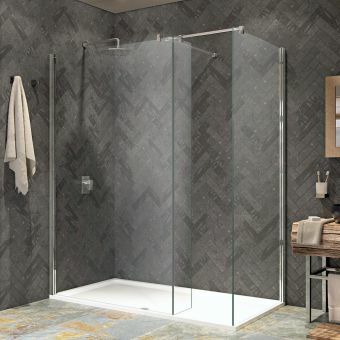 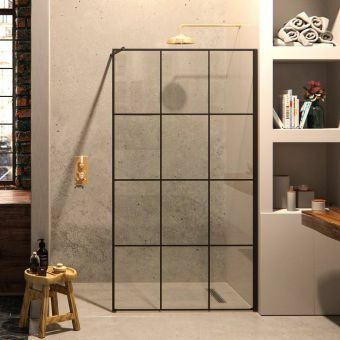 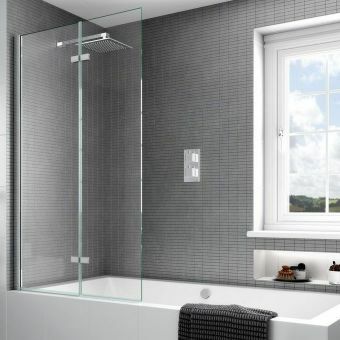 The SP450 double entry shower screen with side panels has a striking visual impact, creating the impression of depth and width in a bathroom or wet room. 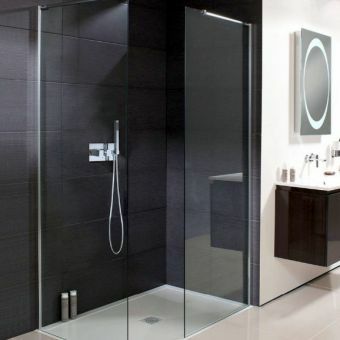 The effect is achieved partly through the expanse of frameless clear glass with polished edges, interrupted only by neat polished chrome brackets. 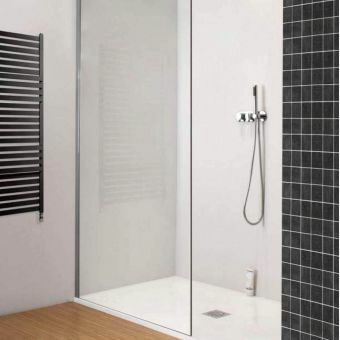 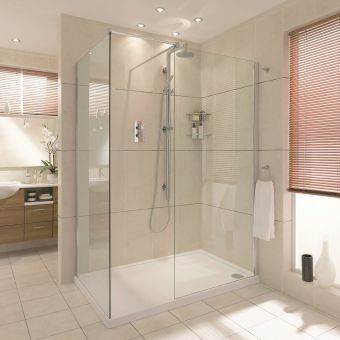 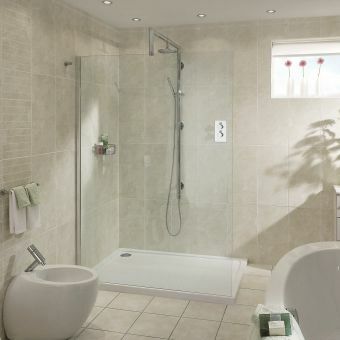 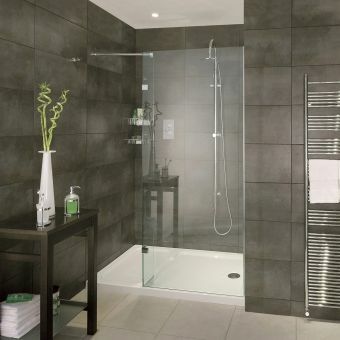 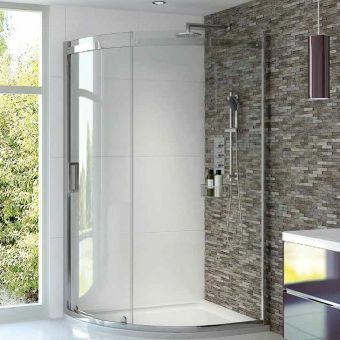 Two steady arms provide stability to the screen and panels, which are adapted for both tray and wet room fitting. 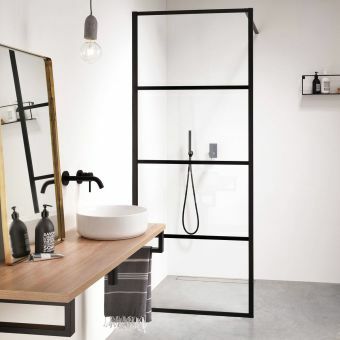 There is a choice of six dimensions for the 1950mm high screen (1975mm with steady bars) and its 300mm return panels. 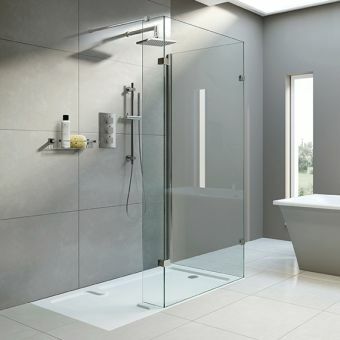 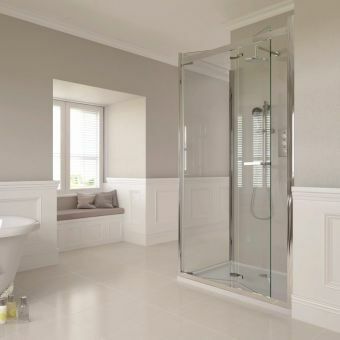 A wide range of Aqata accessories is available to complete the stylish contemporary look of the SP450.